Faith in Nature has produced an organic cleansing lotion using organic Rosemary, a known skin enhancer and stimulator. This vegan cleanser gently removes impurities, leaving skin feling toned and refreshed. Not only is this cleanser guaranteed to be cruelty free, it also contains all natural ingredients which means it is free from parabens, alcohol and SLES and so is kind to sensitive skin. 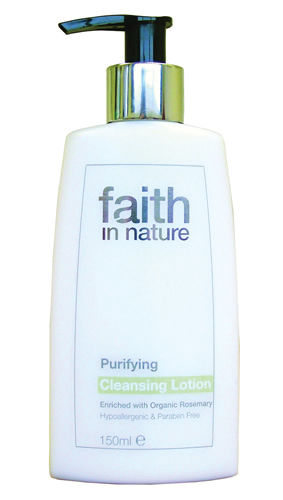 There are currently no questions to display about Faith in Nature Purifying Cleansing Lotion - 150ml.